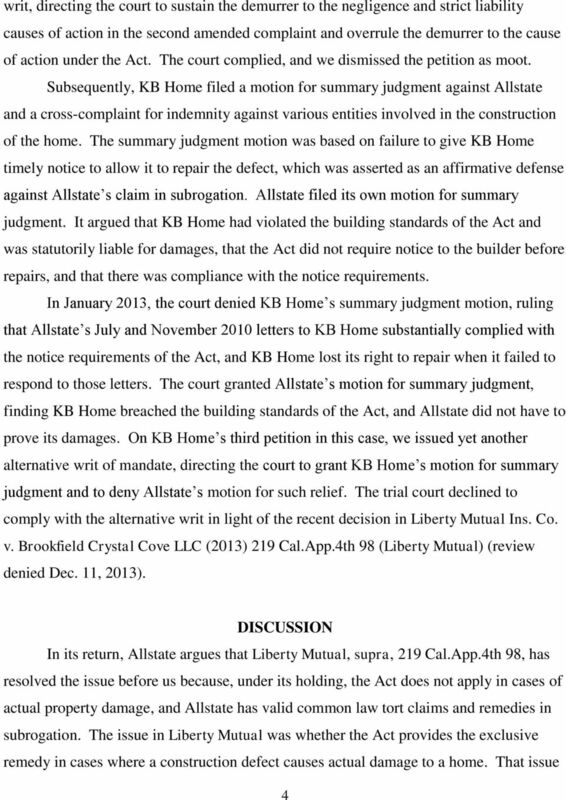 Download "CERTIFIED FOR PUBLICATION IN THE COURT OF APPEAL OF THE STATE OF CALIFORNIA SECOND APPELLATE DISTRICT DIVISION FOUR"
1 Filed 2/21/14 CERTIFIED FOR PUBLICATION IN THE COURT OF APPEAL OF THE STATE OF CALIFORNIA SECOND APPELLATE DISTRICT DIVISION FOUR KB HOME GREATER LOS ANGELES, INC., Petitioner, B (Los Angeles County Super. Ct. No. 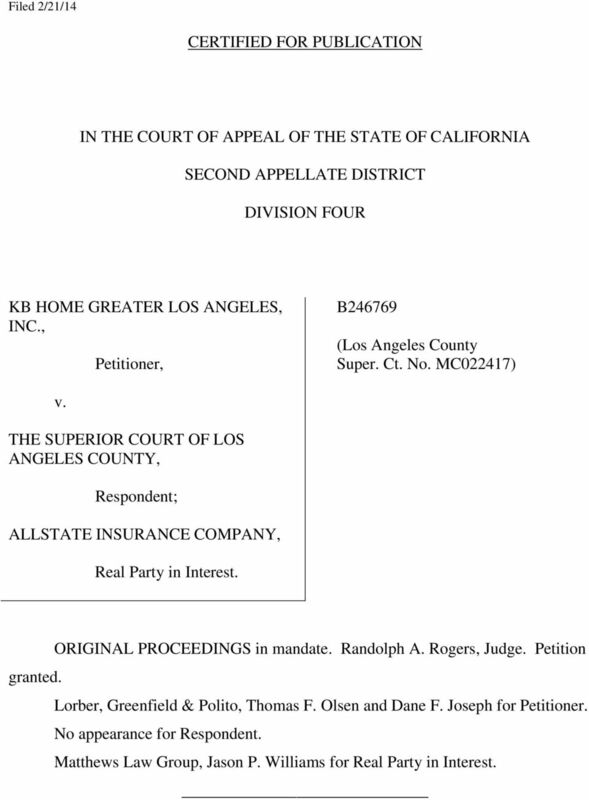 MC022417) v. THE SUPERIOR COURT OF LOS ANGELES COUNTY, Respondent; ALLSTATE INSURANCE COMPANY, Real Party in Interest. ORIGINAL PROCEEDINGS in mandate. Randolph A. Rogers, Judge. Petition granted. 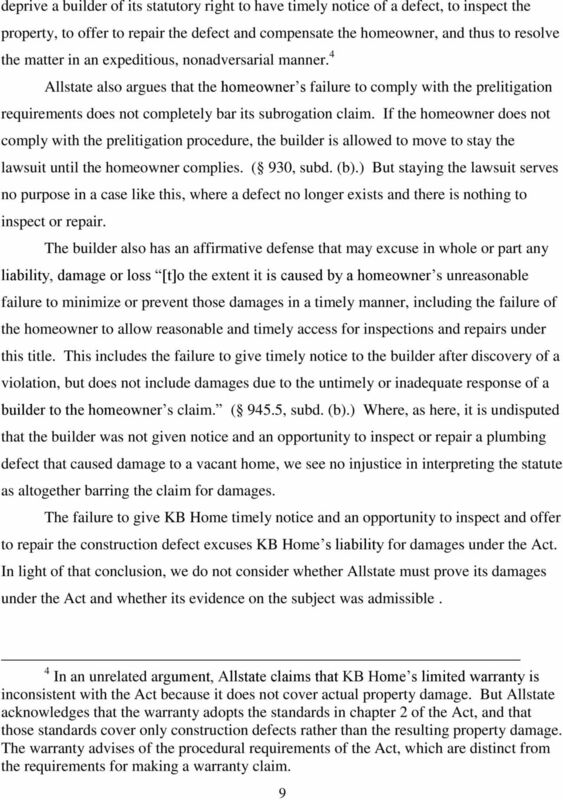 Lorber, Greenfield & Polito, Thomas F. Olsen and Dane F. Joseph for Petitioner. No appearance for Respondent. Matthews Law Group, Jason P. Williams for Real Party in Interest. R&R Pipeline, Inc. v. Bond Safeguard Ins. Co. 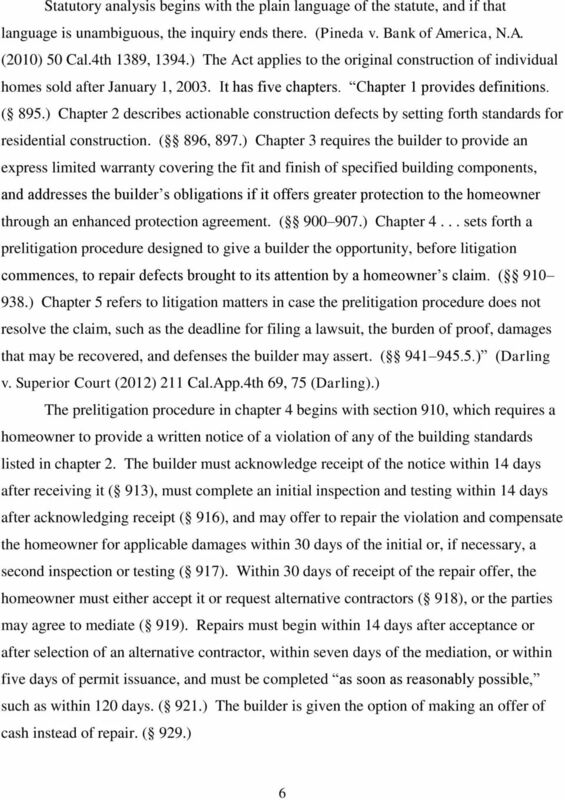 Filed 101097 CERTIFIED FOR PUBLICATION IN THE COURT OF APPEAL OF THE STATE OF CALIFORNIA SECOND APPELLATE DISTRICT DIVISION ONE MITCHELL, SILBERBERG & KNUPP, Plaintiff and Appellant, B091492 (Super. 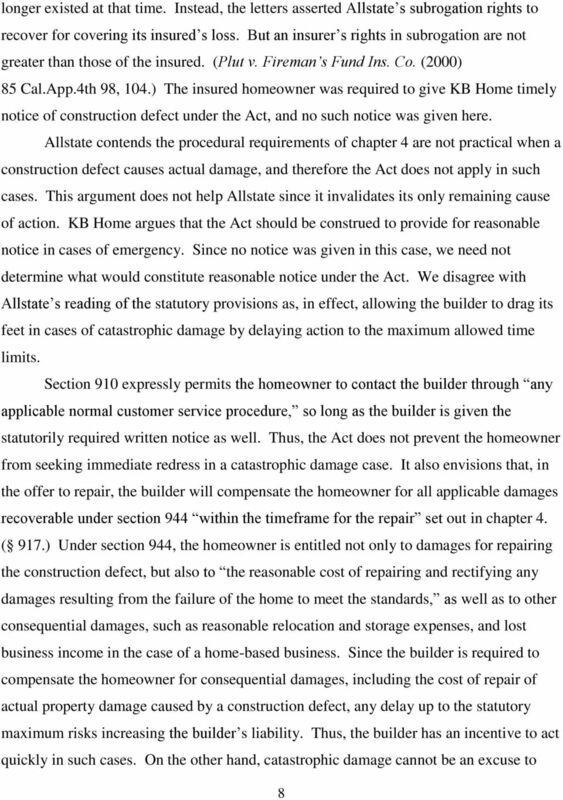 Ct.
11 of 16 DOCUMENTS. CONCEPCION GARCIA-HOLMES, Plaintiff and Appellant, v. LOS ANGELES UNIFIED SCHOOL DISTRICT, Defendant and Respondent. 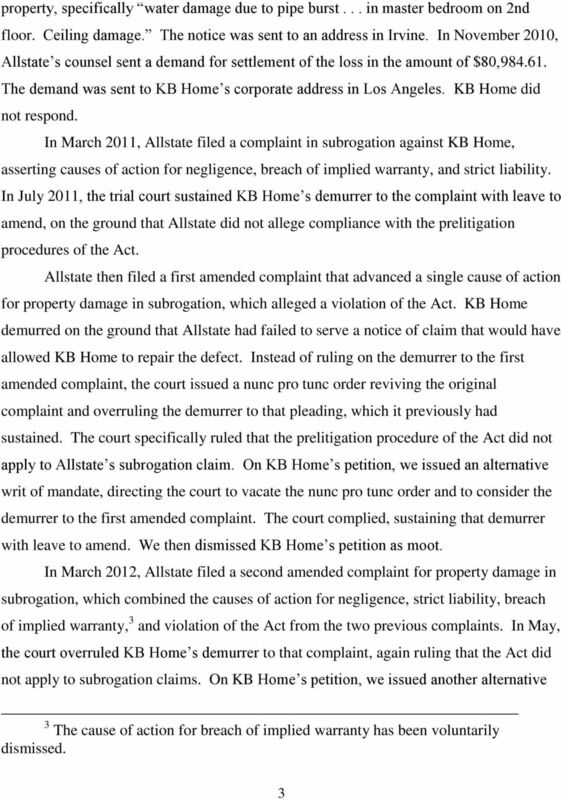 Filed 3/24/10; pub. 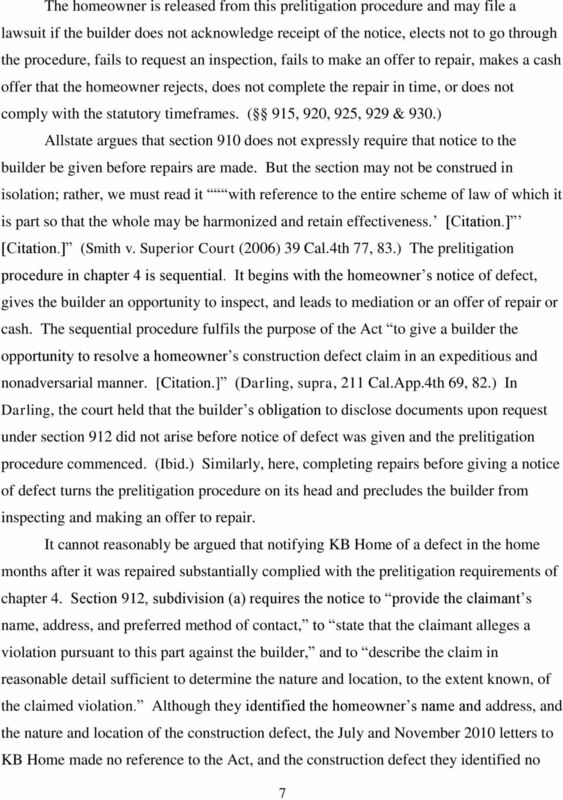 order 4/9/10 (see end of opn.) 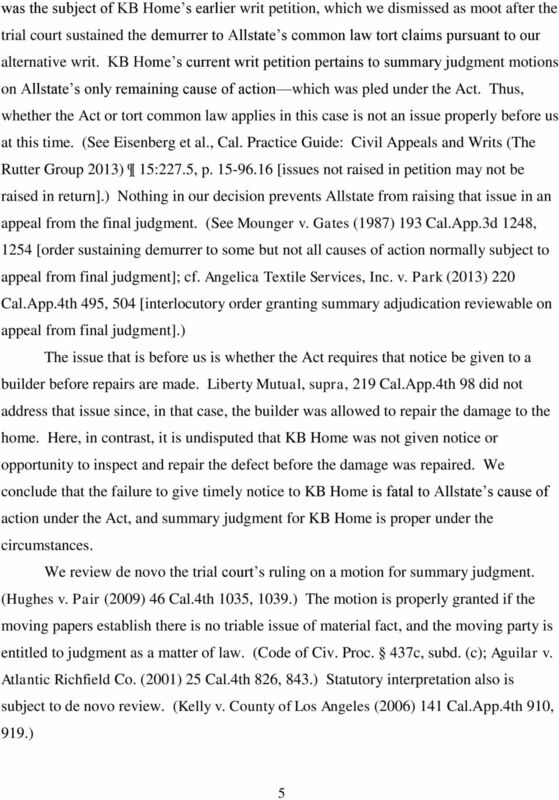 COURT OF APPEAL, FOURTH APPELLATE DISTRICT DIVISION ONE STATE OF CALIFORNIA UNITED ENTERPRISES, INC., et al., D055879 Petitioners, v. (Super. Ct. No. 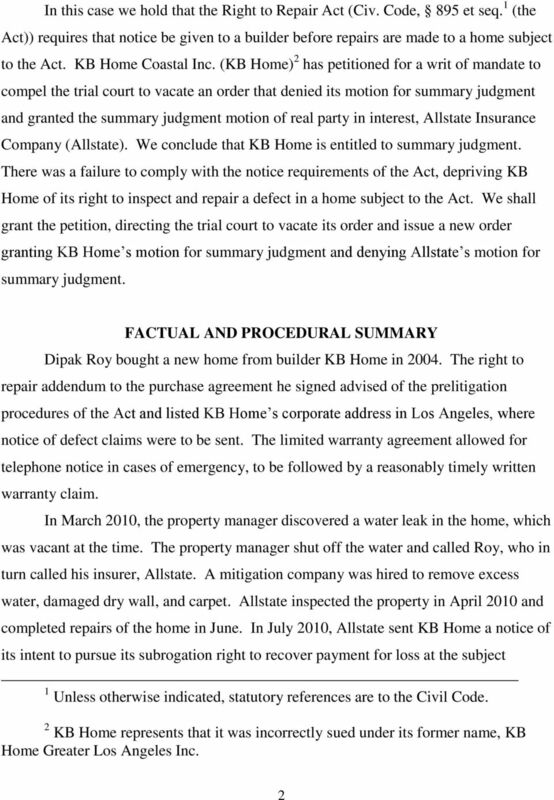 Filed 5/5/09 CERTIFIED FOR PUBLICATION IN THE COURT OF APPEAL OF THE STATE OF CALIFORNIA SECOND APPELLATE DISTRICT DIVISION ONE BERNARD FREEDMAN et al., Plaintiffs and Appellants, B202617 (Super. Ct. No. 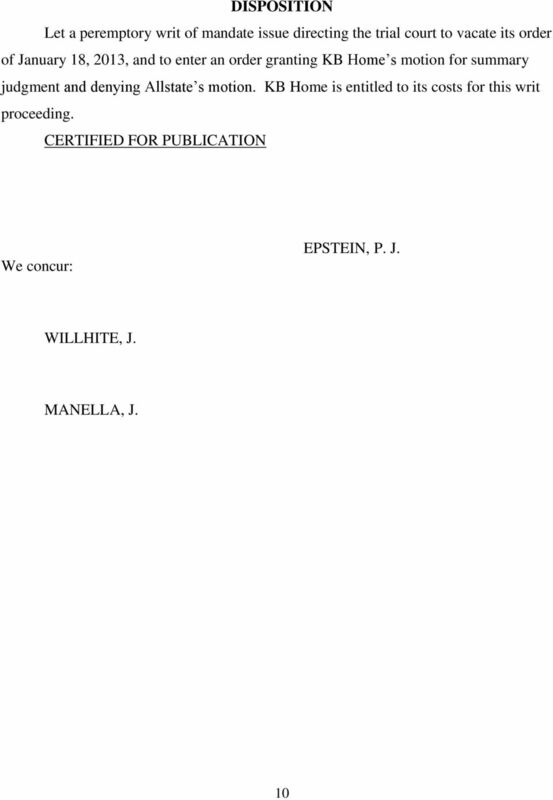 Filed 2/9/11 CERTIFIED FOR PUBLICATION IN THE COURT OF APPEAL OF THE STATE OF CALIFORNIA FIRST APPELLATE DISTRICT DIVISION FIVE OLINDA JACKSON, Plaintiff and Appellant, A128065 v. (Napa County Super. Ct.